The Kiss Wig by Ellen Wille is an ultra-layered, short style with perfect curl and volume! The fringe is styled slightly up and away to frame the face beautifully. You could also use a small amount of water and styling crème to really bring out the definition in the layers creating a more pieced out and modern look! 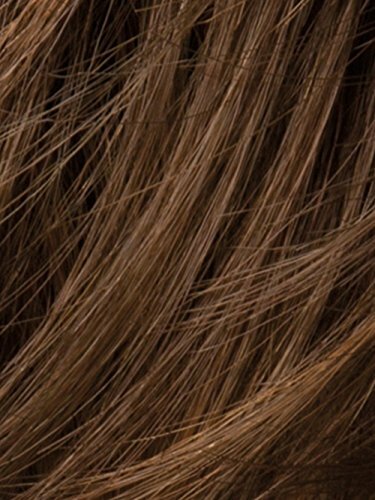 There is a small monofilament placed on the crown area to offer volume and the appearance of the hair coming from the scalp. The sides and back are made of wefting which promote coolness and comfort while wearing. The nape area features velcro straps with soft velvet to allow for women sized petite or average to wear this style comfortably! 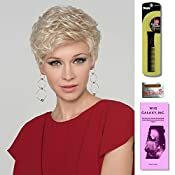 Ellen created a true ready-to-wear synthetic hair style that mimics the look and feel of biological hair, with the density being realistic and lightweight. This style requires little to no customization or thinning. Kiss is part of the Ellen Wille Hair Power collection. Ellen Wille recommends BeautiMark synthetic styling products for care and maintenance of this style.